Neem or Azadirachta Indica originates from Indian peninsula and it belongs to the mahogany family. 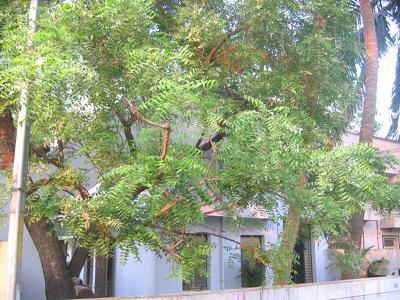 Neem is an evergreen tree and a primary ingredient in many ayurvedic medicines. It has great anti-fungal, anti-septic, anti-viral and self-healing properties. Neem oil and extracts are used to treat several ailments like jaundice, stomach ulcers, mouth ulcers, diabetes, ringworm and many skin related diseases. Neem extract reduces blood sugar levels and neem oil can be used as natural contraceptive as well. Skin Care Products – Neem extract and oil is used in many skin care products like soaps, shampoo, shower gels, face wash, face pack, creams, lotions and creams. It has self-healing and anti-fungal properties which prevent many skin related disease like ringworms, rashes and even eczema. Tooth Care Products – Neem extract is used in many herbal tooth pastes as it prevents tooth decay, gum inflammation and bad breath. Twigs of neem are still used in many part if India as ‘datun’ to cleanse teeth and gums. It has a bitter taste so it is easier to use it in toothpaste. Medicines – Extract and oil of neem are used in several medicines to treat diabetes, ringworm, stomach ulcers and arthritis. Neem oil can be used for massage to relieve muscle and joint pains. Neem lower sugar levels in the blood and can be used to aid the treatment of diabetes as well. However it is very important to check with the doctor before using it. Cuts, Burns And Injuries – Neem oil or powder can heal minor cuts, burns and injuries. Anti-septic properties of neem prevent infections and heal the injury naturally. Skin Diseases – Neem based skin care products or neem leave can be used in bath water to prevent skin diseases like rashes, irritation, pimples, acnes and even eczema. Also, consumption of neem extract helps in detoxifying the body and purifies the blood which prevents the pimples, acnes or other skin diseases. 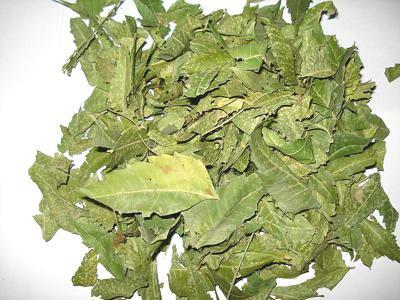 Neem juice is very bitter however consumption of neem juice prevents the pimples and other skin related diseases. Also, application of neem juice heals acnes, pimples and removes blemishes. Hair Care – Regular application of neem oil helps in treating dandruff, scalp itching and hair fall. Neem shampoo helps in treating dandruff and itchy scalp. Intestinal Worms – Consumption of Neem extract helps in getting rid of intestinal worms. Regular consumption of Neem extract helps in preventing intestinal worms as well. Immunity – Neem has strong anti-fungal, antiseptic and anti-viral properties which boost the immune system of the body to fight against infections. Arthritis – Regular massage of neem oil reduces the muscle and joint aches. It is very helpful in curing rheumatoid arthritis, Osteoarthritis, lower back pain and other muscle or joint pain. Diabetes – Neem extract controls and regulates sugar levels in the blood which significantly helps in diabetes. Liver Health – Neem extract cleanses and strengthens liver cells which improve liver functioning. It protects the liver from damage and purifies the blood. Mosquito Repellent And Malaria – Dried neem bark and leave can be burned to ward off the mosquitoes. Extract from neem helps in treating malaria as well. Mild Contraceptives And Sedative Effects – Neem has mild contraceptive and sedative properties. It is used as mild contraceptive by women. Sedative properties in neem relieve stress and anxiety. Pregnancy – Neem extract may cause severe complications and even miscarriage. 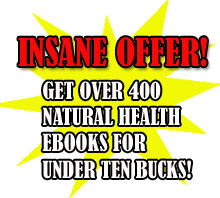 It may cause infertility in men and even reduce chances of getting pregnant. Infant Health – Neem extract is very unsafe for infants. Neem extract especially neem oil may cause severe adverse effects in children like vomiting, diarrhoea, blood disorders, seizures, fainting and even death. Nursing women should not use neem oil to avoid any serious complications. Blood Sugar Levels – Neem can lower blood sugar levels significantly. It is very important especially for people suffering from low sugar level to check with the doctor before using it. People suffering from diabetes should check with the doctor before taking it as well because it may increase the effects of diabetes medications. Neem is a great natural medication however it is important to consult with the doctor before using it to avoid any serious side effects especially for people suffering from chronic illness like kidney disease, lung disease and even serious complications during pregnancy.